My second activation for Friday 6th September, 2013, was the Canunda National Park, which is situated about 18 km north west of Millicent and about 430 km south east of Adelaide. 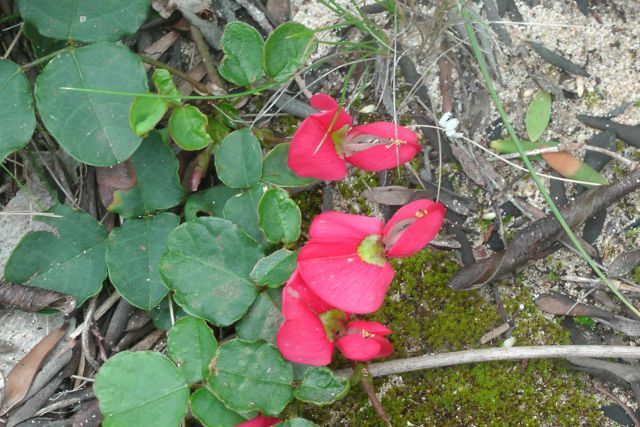 Canunda NP which comprises about 9,300 hectares, stretches from Cape Buffon outside the tonwship of Southend, to Cape Banks near the southern end of Lake Bonney. The park originated from the Cape Buffon Flora and Fauna Reserve, a 22 hectare reserve dedicated in 1959 at the request of local residents to conserve native vegetation and the variety of bird species. The reserve was extended and renamed Canunda National Park in 1966. Since then, more land has been added to bring the park to its present size. The park has a spectacular coastline with cliffs and long stretched of surf beaches. 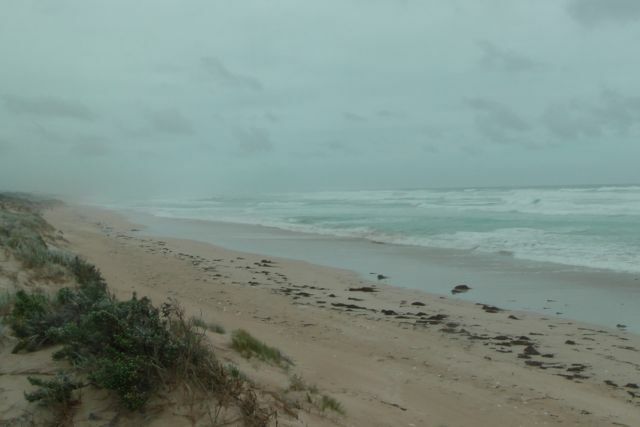 It features a diversity of coastal habitats, and offers great opportunities to enjoy bushwalking, observe birdlife, fishing, surfing, or snorkelling. 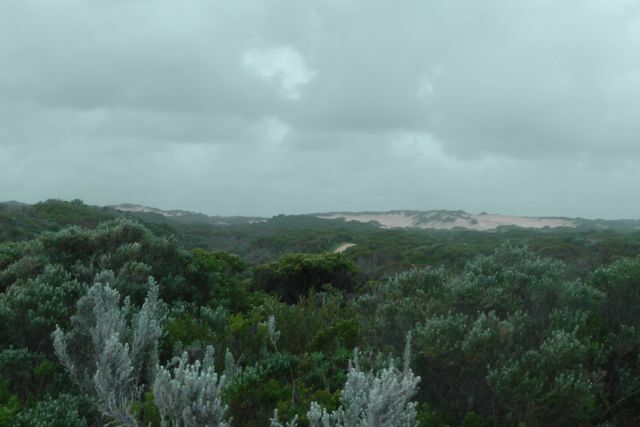 The northern section of the park is characterised by limestone cliffs, sea stacks, offshore reefs and low dense scrub, whereas the southern section is dominated by mobile sand dunes and stretches of beach which are backed by low foredunes. The 40km coastline offers great fishing opportunities. Depending on the season and ocean conditions, mulloway, salmon, sharks or rays may tempt a bite. Try your luck off the rocks where sweep, abalone and crayfish may be caught. Four-wheel driving is possible along the full length of the park by following the marker posts through the dunes and along Geltwood Beach. A variety of wildlife can be found in the park including western grey kangaroos, echidnas, wombats and emus. The park provides an important winter refuge and feeding area for the endangered orange-bellied parrot. The rare and secretive swamp antechinus also occurs in areas of dense wetland vegetation in the park. Evidence of the Aboriginal Boandik people, who once lived in temporary camps along the coast, can be seen throughout the park. Middens or shell heaps are scattered throughout the park. These were left by members of the Bunganditj (Bo-an-dik) Aboriginal group who once lived in temporary camps along the coast during summer, and for the rest of the year lived near inland swamps in relatively permanent huts (wurlas). I accessed the park via Millicent, which is one of three main entry points to the park. The others being at Southend and Carpenter Rocks. I travelled west on Canunda Causeway and entered the park. I drove a little further south of Oil Rig Square to a parking and camping area near Geltwood Beach. I found a nice wooden table with benches and set up the gear here. Whilst setting up I had an inquisitive emu watching activities for a very short time, but unfortunately he/she was camera shy and didn’t want to hang around. My first contact was with Tony VK5ZAI from Kingston, and this was followed by another south east resident John VK5DJ. 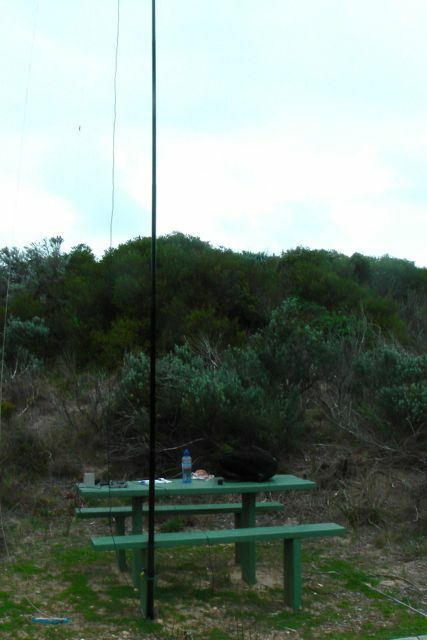 I also managed another SA ‘Park to Park’ QSO with Larry VK5LY who was portable in the Danggali Conservation Park. I also spoke with Terry VK3UP who was portable in the Greater Bendigo National Park as part of the Keith Roget Memorial National Parks Award. Conditions on 40m were very good throughout VK5 and into Victoria. Weatherwise it was cloudy with the occasional very light shower. After about 40 minutes, I decided it was time to pack up, and head off to my next activation at the Carpenter Rocks Conservation Park. But before I did that I went for a walk down to Geltwood Beach and admired the pounding seas which I could hear from my radio operating position. I noted that despite the day being a little inclement, that spring was in the air. 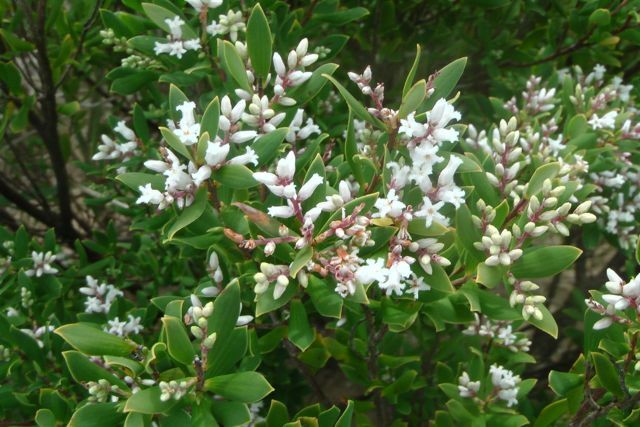 The gums, wattles, and other native plants were all in flower. 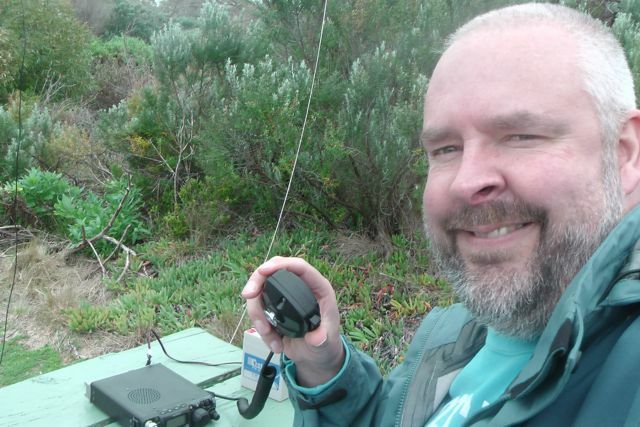 I had 17 QSO’s on 40m SSB into VK1, VK3, VK5, & VK7. Tony VK5ZAI; John VK5DJ; Larry VK5LY/p; Geoff VK3AHT; Terry VK3UP/p; Ron VK3AFW; Tony VK3CAT/p; Bernard VK3AMB; Peter VK3TKK; Peter VK3PF/m; Colin VK3UBY; Col VK5HCF; Gary VK5ZK; Matt VK1MA/m; Dave VK3VCE; Mark VK7FMPR; and Peter VK5NAQ. This entry was posted in Conservation Parks. Bookmark the permalink.